These woods are penetrated with epoxy resin which results in a hardwood floor finish. Click Here to see more. My leatherwork is original in design and completely handmade. Each piece is individually hand-cut, hand dyed and hand stitched. 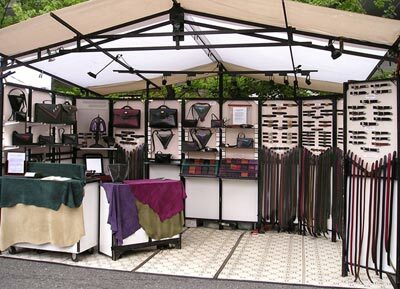 Since 1972, I have shown my handmade leather work at art shows in cities across the nation. I wish to thank the thousands of people I have met who have remained loyal customers for so many years.